In the United States, there are approximately 28 million registered small businesses from coast to coast. The small business sector is responsible for sustaining over eight million jobs annually, and is responsible for 55 percent of all jobs and 66 percent of new net jobs since the 1970s. To say that small businesses are an important driving engine of the American economy would be an understatement. Did you know that the small business sector is also responsible for a variable commercial space occupancy rate of 30 to 50 percent, and on average 20-34 billion square feet of rented business space annually, according to statistics from the U.S. Small Business Administration. Central to the growth of small businesses is the availability of affordable space for restaurants, retails shops, and offices. 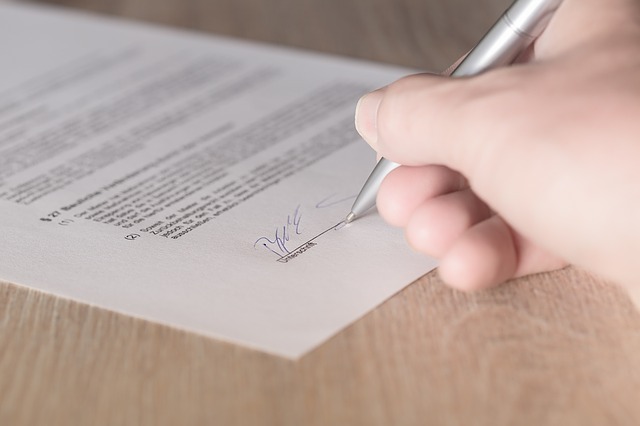 Negotiating commercial contracts can be a veritable minefield for small business owners, who can be confronted with unscrupulous landlords and fraudulent tactics. In this article, we will discuss some of the common contract disputes between commercial landlords and small business owners, and what business owners can do to protect themselves or seek legal assistance to prevent costly liability or commercial lease disputes. Imagine being a small business owner who has leased a certain commercial space for several years. The viability of your business and customers is closely tied to your location; in fact, for restaurants, retail businesses, and service-related small businesses (e.g., hair, nails, or aesthetics), location is everything. And one day, the landlord approaches you to discuss an increase in rent. Landlords cannot arbitrarily raise the rent to evict a commercial client from the space. If they were legally able to do that, it would create havoc in the small business sector, because successful businesses would be evicted the minute a higher-paying client was available. In all states, there is a Right of First Refusal (ROFR) provided in commercial contracts to help protect both landlords and tenants, regarding inflationary increases to rent. The landlord is legally permitted to increase rent; however, the existing lease owner has the right to first refuse. The landlord may set a new rental price that he or she must first offer to the existing tenant. The tenant may accept the new rental rate for the commercial space, or refuse to, in which case the tenant and landlord will negotiate an end of contract and move out date for the business. In very few cases, tenants will move out. The reason is that a landlord who has established a positive, long-term rental relationship with a small business will make every effort to retain that mutually beneficial contract. Finding long-term lease arrangements can be difficult in certain markets, so the ROFR allows landlords the right to increase their profits at par with competitive market prices, while allowing small businesses the opportunity to “stay put” and negotiate a fair rental increase. In commercial real estate law, tenants are required to adhere to an outline of their business services as part of retaining a lease. For instance, if a small business starts as an ice cream retail location, and then wishes to branch out as a restaurant with a liquor license, the business may not be able to, without changing the ‘use clause’ on the rental of the commercial space. This provision enables the landlord to be able to control the type of business that will be conducted in the space in terms of patrons and community, and adhere to certain bylaws that may restrict different business types from operating in the space. Moving into a commercial space, all business owners will want to customize the location and atmosphere of the space to accommodate branding and customer needs. It is important for small business owners to clearly identify what they will be changing in terms of capital improvements to the commercial space. This can include the installation of new plumbing or fixtures, changes to the walls, flooring, paint color, tinting of the window glass, and other improvements. In some cases where a good rapport has been established with the landlord, capital improvements – which may substantially increase the appeal and value of the commercial space – may be partially compensated by the owner. If the small business owner invests substantially in improvements, it makes sense that a partial refund should be offered, as they are increasing the value of an asset they do not own in a way that may substantially profit the owner if the business moves. In most cases, to avoid conflict, a detailed description of aesthetic, capital, and structural changes that will be made to the property is stated in writing as part of the lease agreement. Landlords can take legal action and even evict businesses that make undeclared changes to the property. Beyond property insurance, there are other types of policies that can help protect small business owners from liability issues with landlords. Most landlords will require property and liability insurance on a commercial space, but interruption insurance and leasehold insurance are also recommended. Interruption insurance protects against the loss of income if the business or business owner suffers a catastrophic event, which prevents standard business operations and earnings. Natural disasters, death of a keyholder or owner, or other losses can impact the businesses’ ability to fulfill commercial lease requirements. Leasehold insurance covers the business owner if the commercial space is not usable, and the business must move to another commercial space and rental contract. An affordable space lease is called a “favorable lease,” and the leasehold insurance policy covers the additional cost (for a period) of a higher rate lease, if required. When determining a commercial lease contract, business owners are advised to spend some time evaluating contingency and emergency coverage, and to discuss these needs with both a real estate lawyer (who can help negotiate a lease contract) and with the landlord for advice on policies that can protect both parties and their earning interests.